It’s the end of the weekend, and back to work tomorrow. I usually take a really long bath Sunday nights to relax before the long work week begins. I also do all of my body/face scrubs in my Sunday shower to make sure my skin is glowing for the rest of the week. Usually when I try sugar scrubs to exfoliate and remove dead skin from my body, they are loaded with oil. I am not a fan of that at all! I have spent a long time looking for a great sugar scrub that isn’t loaded with artificial ingredients and of course, without loads of oil. 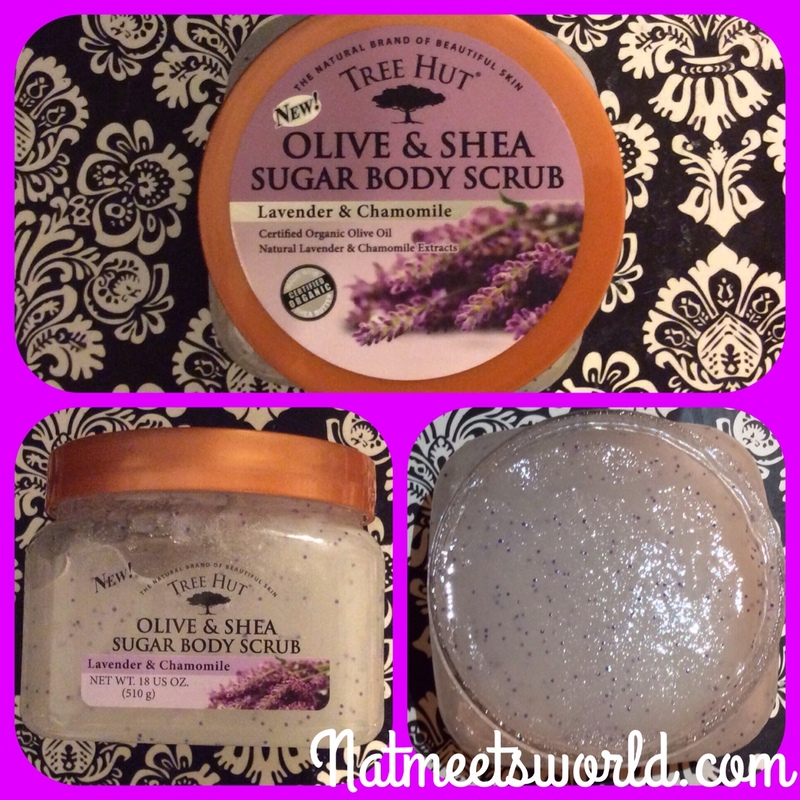 I have spent lots of money on expensive brands as well as tried out cheaper scrubs, and I finally found my holy grail scrub with Tree Hut Sugar Scrubs. Tree Hut is a certified organic brand that uses natural extracts in their products, and do not test on animals. When I first bought this product, I immediately grabbed the coconut lime scent. I absolutely love all things coconut lime (especially during the summer time). I noticed right away that it didn’t have tons of oil! In fact, when I opened it, the ‘loose’ oil that is normally splashing around on top of the sugar mixture was not there. While there is sweet almond, avocado, and orange oil, included in this scrub, it is just enough to give the product its thickness. I really love how well this rich scrub exfoliates my skin, leaving it looking fresh and bright. Its natural use of coconut, lime, and shea butter are evident as soon as you rub it on to your skin. A few months later, I noticed Tree Hut came out with a new scent, Lavender and Chamomile. This made me sooooo happy since I usually use my scrub while I’m relaxing in my tub. I also really love the fragrance of this scent and find that it is just as effective as the coconut lime mixture. I also really like that olive oil is used in this particular fragrance, since I am practically the olive oil queen (more on that later). Tree Hut also makes their body scrub in two other fragrances, one being almond and honey. While I do like this fragrance, I am a bigger fan of coconut lime and lavender and chamomile. If you love nutty smells, you will absolutely swoon over their almond and honey scented sugar scrub. Another scent they carry is tropical mango, which I have not tried yet. OK, now for the best part…….the price! 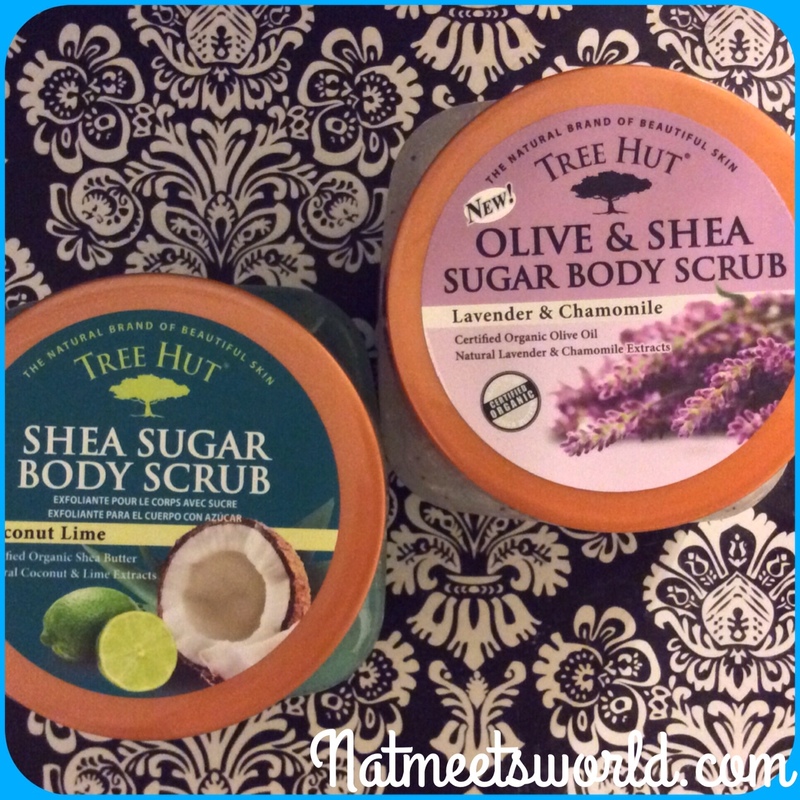 I found Tree Hut sugar scrubs in so many places for $8 – $10.00, however, I purchase mine at Wal-Mart for only $6.00! Yes you read that right…$6.00! I feel like this scrub is too luxurious for $6.00, but hey, I’m not complaining. Tree Hut also sells rich shea butter lotions that are inexpensive as well. UPDATE: I recently found more Tree Hut Sugar Scrub scents at Ulta! I was so excited, I purchased three new AH-MAZE-ING scents: Passion Fruit & Guava, Hawaiian Kukui, and Pomegranate Acai! All of these smell heavenly, so check them out at your local Ulta. 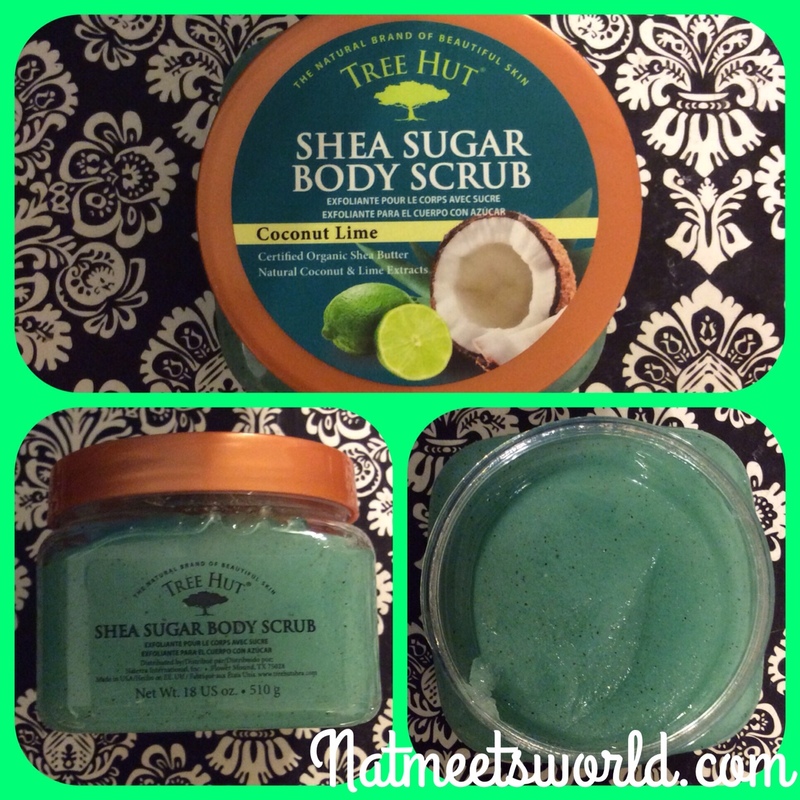 Have you tried Tree Hut’s sugar scrub? Comment below! If not, check it out, and tell me what you think! Disclosure: All photos and opinions are my own. 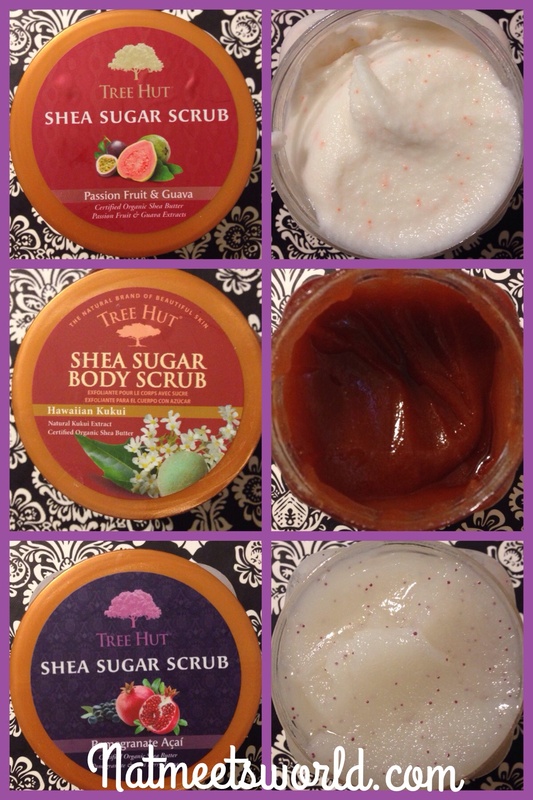 I’ve never been able to use sugar scrubs. I can’t stand the gritty feeling!!! It’s gritty upon application, but once washed off your skin feels amazing! Try getting past the gritty phase so you can feel the results.